While most people prefer light bestsellers as their beach reading, we have yet another 13 open access books bringing the latest discoveries in the fields of Science, Technology, Medicine. Why not replace that magazine with a selection of scientific papers written by top international experts, it’s free for you to read, share and download. 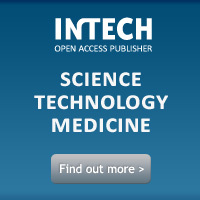 This entry was posted in InTech Books, Open Access and tagged InTech, InTechOpen, InTechWeb, OA, Open Access, Open Access Publishing. Bookmark the permalink.